This morning I was awakened by the sound of a small plane flying low overhead. Aha. They’re coming in for the Fathers Day Fly-in at the Torchport, I thought. I’m going over there for breakfast in a little while—just as soon as I get my Fathers Day post done. It would never do to have LaMirada Bob and Bonnie his Beloved log on and find no greeting. Dad says this is 1957, and he is more reliable as to these details than I am. 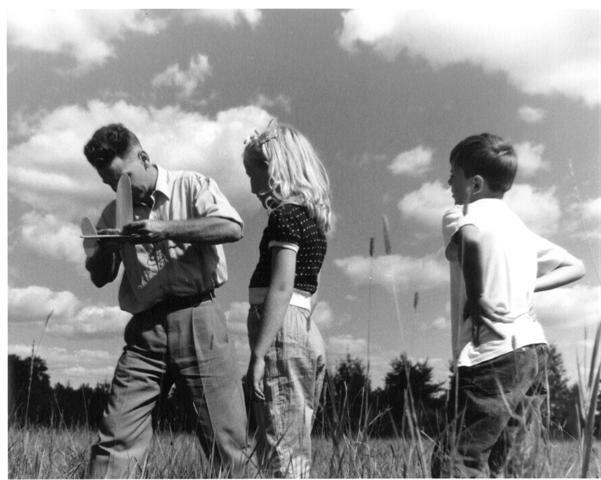 It is certainly out in the meadow at Gram and Grampa Smith’s farm outside Rhinelander, Wisconsin, and that is certainly my little self, watching intently as Dad winds up the rubber band engine on a balsawood airplane. That is certainly my cousin Steve, who became a grandfather this year. I am still astonished that Steve managed to persuade Anita to marry him, so you can imagine what a lovely surprise it is that their tribe has increased in such a satisfactory manner. I digress. I loved those airplanes. You could get them at the dimestore. 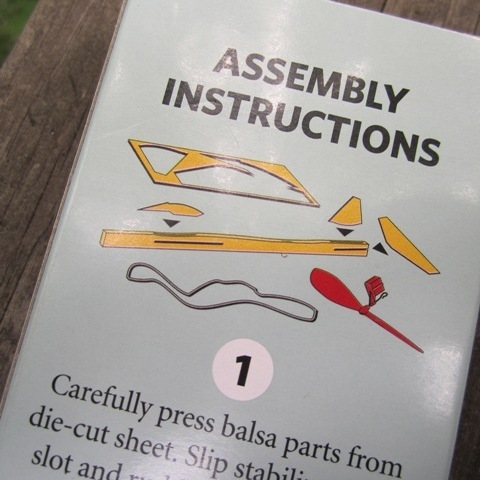 They came as a kit, and you had to be careful about pressing the balsawood parts out of the diecut sheet. It is amazing how much fun a couple of kids could have on a summer afternoon with a dimestore toy. Steve, like Dad, was a city kid from faraway Detroit, and you might think he’d be bored by such amusements, but you’d be wrong. I reminisced fondly about balsawood planes so often as my sisters were growing up that a hundred years later, when the whole family was gathered at Mary’s house in Utah, she provided a set for Dad and me to play with while the grownups made dinner. This year I visited Mary and Dennis at Christmas, and she gave me a brand new set, assuming correctly that the older ones had bitten the dust. I haven’t assembled the Sky Streaks yet. I think I might have to take them out to California and let Dad have one. We can see who manages to fly one the farthest. Silly, the things that bind a family together. Not that I don’t appreciate the college tuition and the family trips and the dog stories, because I do. 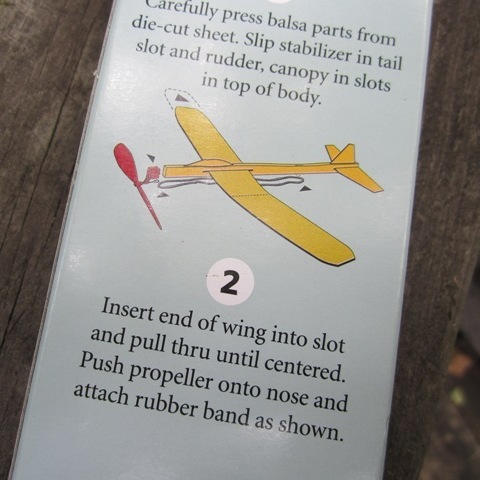 But somehow nothing makes my heart catch quite like the sight of a dimestore balsawood airplane. Happy Fathers Day, Dad. Happy Fathers Day, Steve. Happy Fathers Day Eric. And Happy Fathers Day to every man who helps a child grow up blessed with good memories of silly things. Precious, silly things. Gerry, what a great post! 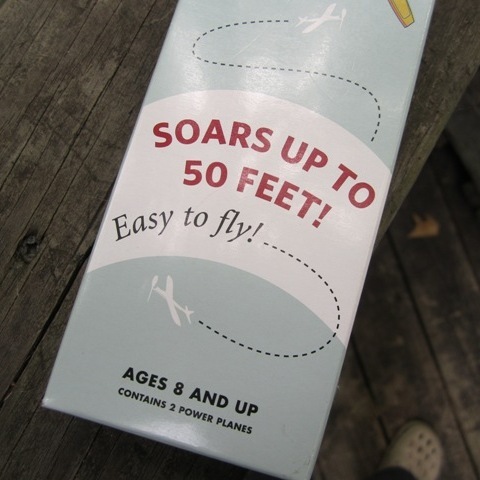 I remember the little balsam planes, and you’re absolutely right about how sweet they were (are) and how much fun simple toys can be. My dad is gone now, so Happy Fathers Day to yours from me. Have fun at the Fly-In, too! Thank you, PJ. I have to laugh at myself because next to the little planes, my favorite toys are my camera and my laptop . . . We did not get to the Fly-in after all, thanks to extremely bad behavior on the part of the Cowboy, but that’s another post entirely. Since my dad is too far away to come to dinner, Cora Stoppert and I are going to eat his steak out on her deck, watch the Bay, contemplate this and that. It’s a pretty day over here, and I’ll bet it is over there, too. Hope you enjoy every minute of it. Great post. I, too, love the silly things. Luckily my husband is one of the silly things! Hopefully our girls are taking in moments of his silliness to have these sorts of memories in their future. You never can tell what will stick in the mind of a child. All of us try to make special memories for our families–and those experiences are treasured–but the very dearest stories can be about the smallest things. I suppose it’s the same as the kids ignoring the toys in favor of the box they came in. The toys, not the kids. You know what I mean. Time for a nap. I no longer have mine either, so best wishes to yours. My girls have thoroughly enjoyed spoiling their Dad today, starting with breakfast in bed, with added gifts and hugs (of course). Right now he’s engrossed in the World Cup, with a promise of no distractions! In my experience, the absolutely best present a parent can have is a few blissful hours of peace and quiet. Clever girls! And best wishes to their lucky father. What a wonderful photo, I love to study this lovely trusting young girl,who is waiting for her daddy to fix the little airplane, knowing that this is not only fun for you and your playmate, but also for your handsome looking father. He is standing in a position as if he is just about to ´send the airplane on its wings. our cousin though, seem to have a bit more difficulties with keeping his hands to himself, he probably cant wait much longer. 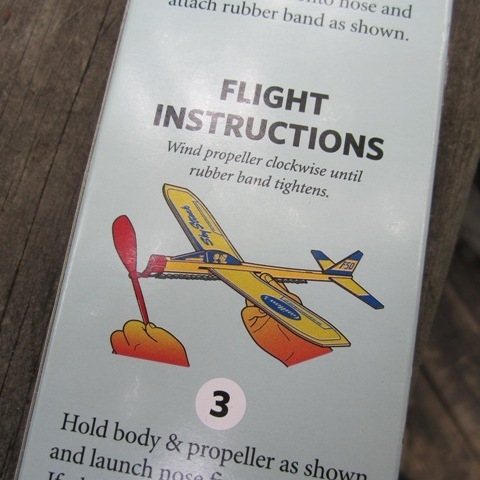 I was thinking about the interesse in these airplanes like this; They were only objects to get in contct with the real “toy”- the forces of the wind. I imagine that you were curious then as you are now? Thank you, Birgitte. I love that particular photo very much. You are exactly right about Steve. Neither of us ever had a whole lot of patience, and our battles were legendary. Nevertheless, I was always glad to have his company during their summer visits. I am astonished that he has grown into a wonderful man. Must be Anita’s influence. Your insight about the real toy being the forces of the wind is perfectly enchanting, and I will think about it at length. I was very curious then, but I am even more curious now! I really enjoyed reading this blog, Gerry. It reminds of my own father, still with us and still interested in toys but cars ! He had a garage and sold American cars. His greatest pleasure was to offer miniature vehicles to his girls for their birthdays. And he would start explaining this and that and we would love it ! He had this same concentrated look as your Dad taking care of the balsawood airplane. Lovely memories. Thanks Gerry. You are very welcome, Isa! Thank you for sharing the lovely memories. I have a friend who has saved toys from her own childhood and from her daughter’s. As Nora is 93 years old now, she has a very interesting collection! I never thought to ask her if she remembers her mother or grandmother playing “tea party” with her!